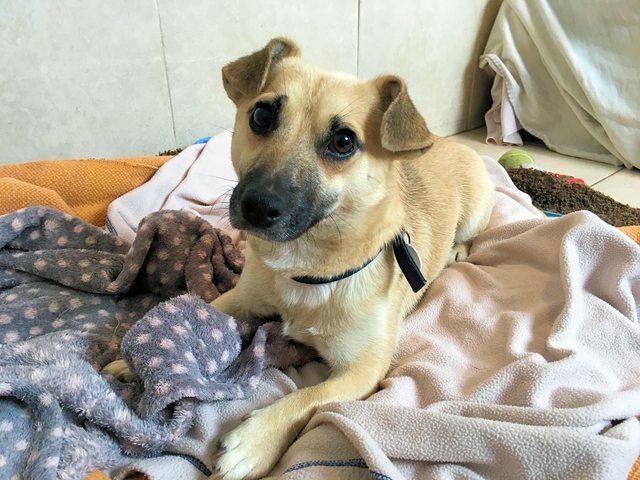 Tommy is a fourteen month old male Terrier mixed breed. He arrived at Mayhew because his owners decided they no longer wanted him. A shy little boy who hasn’t had the best start in life. He lacks self-confidence and is nervous of strangers. However once he knows you he’s quick to show his affectionate side and likes to rest his head on your lap. He’s looking for an experienced and patient owner who has plenty of time on their hands to continue his training and socialisation. He’ll need to be the only pet in an all adult home without visiting young children. His new owners will need to be fully prepared for the hard work and long term commitment involved in owning a dog, they’ll be taking on an fourteen year commitment which must not be taken lightly. Tommy is hoping you’ll consider him!